One of the UK’s largest and most respected animal rights organisations, Animal Aid, released findings from a survey into labelling which show that people following plant-based lifestyles are far more likely to purchase products which are clearly labelled. We spoke with Animal Aid Campaign Manager, Tod Bradbury regarding the results of this study. 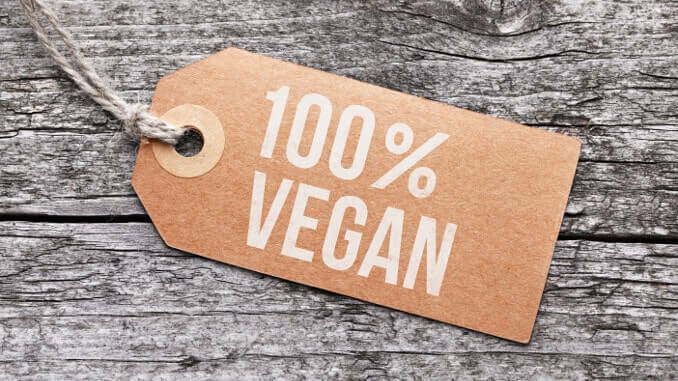 The results of the study carried out as part of the #MarkItVegan campaign, show that 96% of respondents, who included vegans, vegetarians and reducetarians, are more inclined to spend their money on products stating ‘suitable for vegans’ or ‘100% plant-based’. This could also be expressed with the use of a logo. Such labelling was said to have created positive feelings in the customer, with 62% saying that it made them feel “valued” and 56% feeling “accepted”. Tod Bradbury said of the findings, “‘The results of this survey are just another spoke on the wheel that is the increase in veganism and interest in plant-based eating,” and kindly answered the following questions for vegconomist. What is your objective with the campaign? The #MarkItVegan campaign aims to persuade all major UK supermarkets to clearly label their own-brand vegan products in some way. This could be by using a ‘vegan’ logo, using the words ‘suitable for vegans’, or simply stating that the products are ‘100% plant-based’. The reason for this is to make veganism more accessible and normal; more than 90 per cent of the UK population regularly shops in supermarkets, so by ensuring these companies label their own-brand vegan products, we are helping to make it easier for people to go vegan or try vegan food. It also helps to increase public awareness of veganism, as well as demonstrating the great range of everyday products that are suitable for vegans. What are the results so far from supermarkets & manufacturers? Since launching the campaign, supermarket giants Tesco , Asda  and Morrisons  have all committed to – and started to – label their own-brand vegan products. In addition to this, Animal Aid recently facilitated a survey  on attitudes to labelling. We focused on vegans, vegetarians and meat-reducers/flexetarians, as well as those who purchase products for family members who follow a plant-based diet. Among the key findings were that 96 per cent of respondents would be more inclined to purchase a product that was clearly marked or labelled as ‘vegan’ in some way; in addition, 69 per cent said that they would consider switching supermarkets if a competitor started to clearly mark or label their own-brand products. Therefore, not only does clear labelling help those of us who do not buy or consume animal products, but it also has the potential to increase supermarket sales. What can individuals do to help the campaign? Anything particular or outstanding that you would like to mention from your survey? We are not calling for products to be emblazoned with the word ‘vegan’ in huge letters, rather just marked in some way to make shopping easier for vegans, those considering going vegan or wanting to try vegan food, or those shopping for vegan family members.